Two faces of ladies are carved into the corbel legs. 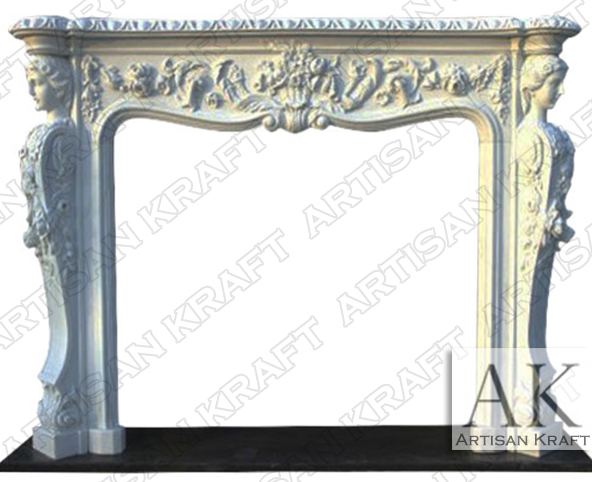 The floral and angelic mantel is carved in the Victorian style. There are flowers and vines in the frieze and the legs. 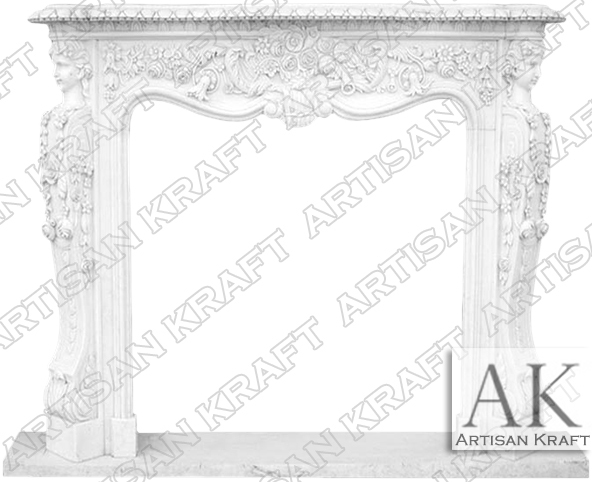 This is a white marble hand carved fireplace mantel. The black hearth offers great contrast to the white stone. A decorative design with statues that will serve as a great accent feature in your house. Stone: Grey marble, limestone, sandstone, marble etc. Available in many different colors, textures and finishes.